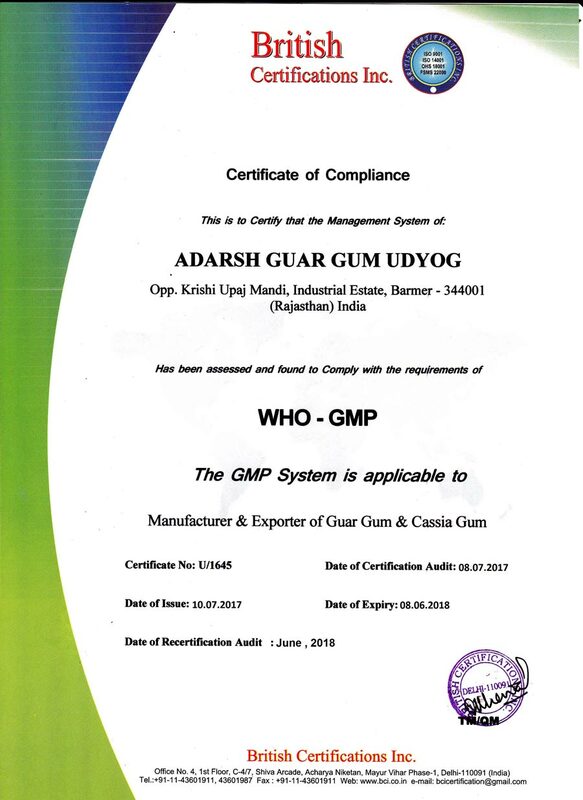 Adarsh Guar Gum Udhyog is a partnership venture established and started way back in 1980 when its promoters recognized the commercial value of guar seeds. 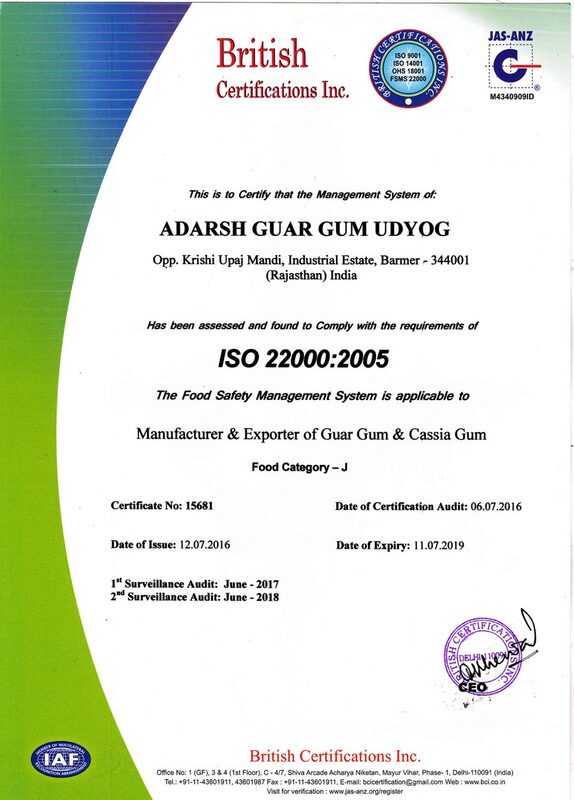 We at ADARSH are among the early ertrant in the manufacturing and exporting of guar gum and its various products. 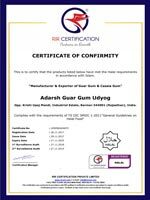 Latest state of technology has been always adopted by ADARSH and is continuously upgrading its manufacturing to keep him ahead and maintain its position in the market. 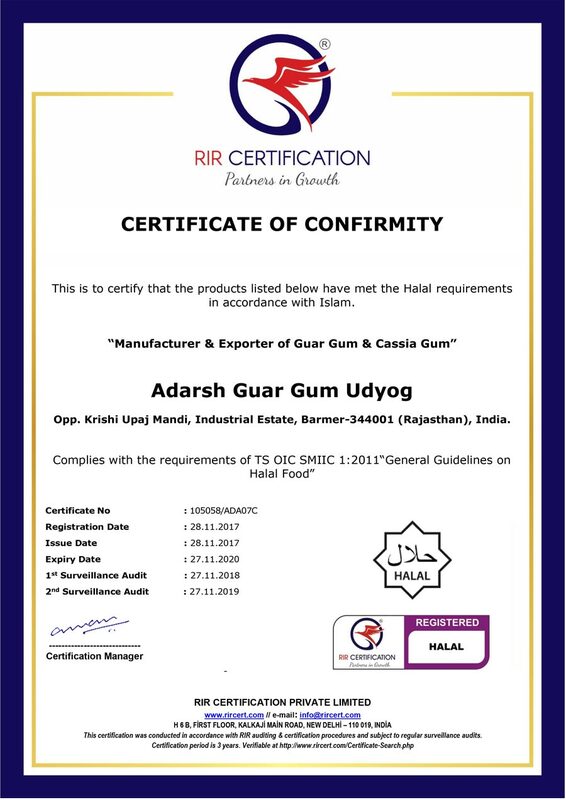 The product sold by us under our various brands maintains and confirms the international standards. 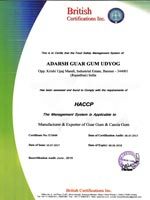 Better quality at reasonable price is the hallmark of ADARSH. 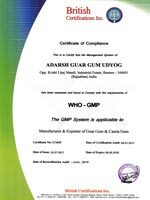 It is a professionally managed company under the guidance and supervision of Mr. R.L. Jain (Partner) who has a vast experience in finance, sales, purchase and general administration. The export related affairs are handed by his elder son Mr. Mukesh Jain. 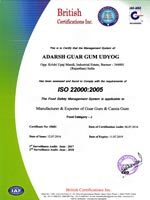 Guar Gum Refined Split is refined endosperm derived from guar seed. It is a non-ionic polysaccharide galacomannan. 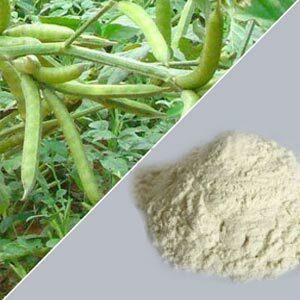 Guar Gum Refined Split (Endosperm) is mechanically separated from guar seed which yields 28-30% of Refined Split. 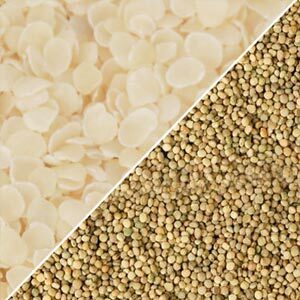 Guar Meal – A cattle feed. 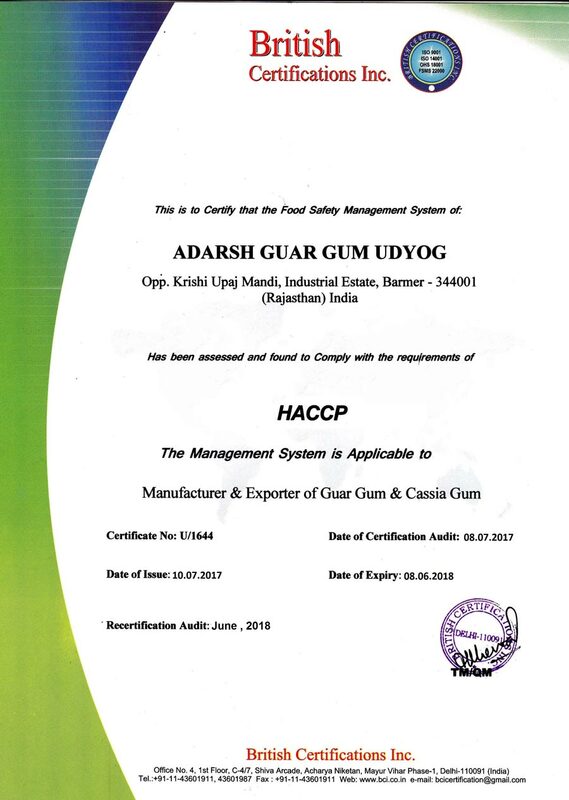 Guar gum is applied for various food and other industrial uses as a viscosifier, thickener, binder, gelling agent, stabilizer, emulsifier, flocculant, water holding agent. 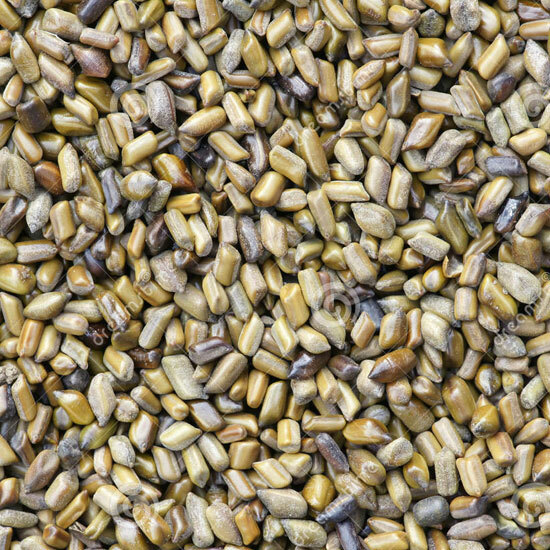 It is mostly found in South-East Asia and the South West Pacific as an important weed. It is considered a wild weed, wild peanut or pastiche that has many healing benefits. 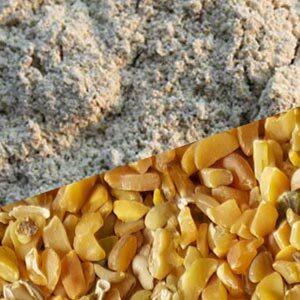 The plant is an herbaceous annual foetid herb.